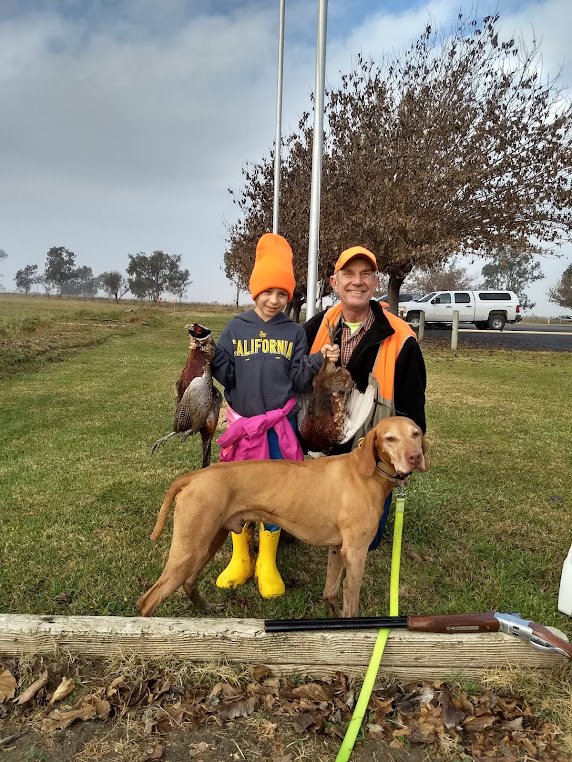 REDBIRDDOG - a Hungarian Pointer blog following the adventures of two Hungarian Pointers or Red bird dogs (Vizslas) and their human companions through the West in search of birds and some very cool spots! Take a second to indicate a choice (funny, interesting, cool) at the bottom of the post. COMMENTS ALWAYS APPRECIATED AND ENJOYED. Thanks for visiting. The Internet is an amazing tool. 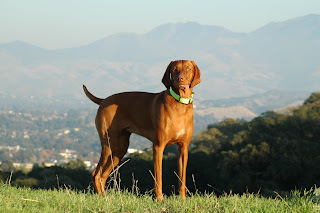 Yahoo groups have several Vizsla centered discussion groups. 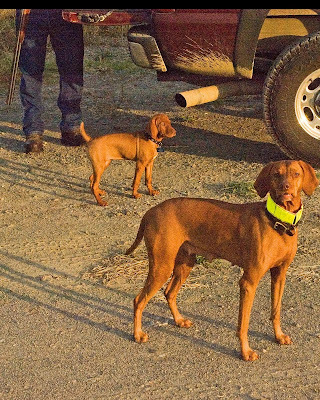 Vizsla Talk being the largest and most active in the USA. This morning I opened MY YAHOO GROUPS page and found the below article on "First Season", an explanation of female dog heat cycles in Vizsla Talk. This was written by Ms. Berner, owner of Miravizslas. Our female, Chloe, was spayed before her "first season," so we never experienced this. Our male, Bailey, is not neutered. This article gives me a better understanding of what to look for when he goes "nuts." The information on the mating act of females and neutered males was unexpected. My appreciation of responsible breeders has risen even higher. and it is every six months thereafter. not when you slack off. can last anywhere from 5 minutes to 2 hours and still produce puppies. take the opportunity to get bred. from even neutered males, and especially from inexperienced intact males. " A great book on the Vizsla. A must own for any serious Vizsla owner. Surely "When the discharge changes from blood to a more opaque color" should be "...to a more translucent" colour? (I.E. more see through). Yup - in fact, the drops get pale pink, and then become CLEAR. In other words, you don't necessarily notice those later drops. Great summary. Though my experience with Vs is that they start their heats much later...like 18 to 22 months, with frequency 9-12 months. But if one has an entire pack, you get a hormone cluster (just like human women! ), and so the rhythms for all members of the pack are affected. Not many people have been around these natural cycles any more. My female is in her first cycle, and she is 10 months old! We had been told that Vizslas generally will not go into heat for 18 months. Our vizsla is almost 11 years old and still goes into Heat. Is this normal? Thank you for this. My Vizsla is just under 14 months and entered her first heat two days ago - mostly spotting. I’ve noticed she’s a lot less energetic that usual. Is there something I should look out for in terms of behavior! Also. She’s tolerating the underwear indoors when she’s not in her crate. My Vizsla is 7 months old and started her first heat 2 weeks ago. She is a lot more “wound” up! More aggressive/assertive. Assuming that is normal too!